In Herot, all is not peaceful. Shorthanded, Slean has to intervene and work as a blacksmith. It seems the blacksmith's shop is where he used to head in his younger years to escape the pressure of who he is. His work does not go unnoticed by Rheda. We will have to see what results this brings. Slean also tells his uncle man that he will not participate in whatever little plan Abrecan is working on. It seems that Slean has determined that he will be his own man. Nothing really happened in this episode. It seems to exist to show us how ruthless Slean's new wife Kela will be and foreshadow a match that will surely bring trouble to Herot. The moment Kela started talking to Vishka about how magical she believes Herot to be and the fact that her father much prefers Mara to her, it's clear that Kela, at the very least understands the world she lives in. She is the perfect match for Slean because like him, she feels passed over and under appreciated. For his part, we know that Slean is not afraid to get his hands dirty. Thus far, episode five is the most boring episode of this season. It just seemed to meander along and was constantly obvious about the tale it was telling. It was so boring, that it was hard to stay focused on it. Even though I understand what is at stake with the alliance between the Isle of Dunes and Herot, and Slean working able as a blacksmith to avoid smelters taking off to sell to the Varni, I truly just didn't care in the least. I want to know where the epic is on this show? Sure, I see the money spent in the form of a great set and the cinematography but there is nothing about Beowulf: Return to The Shieldlands that is even remotely compelling. The writers don't seem to know how to build any anticipation into the plot, making it as exciting as watching paint dry on a wall. 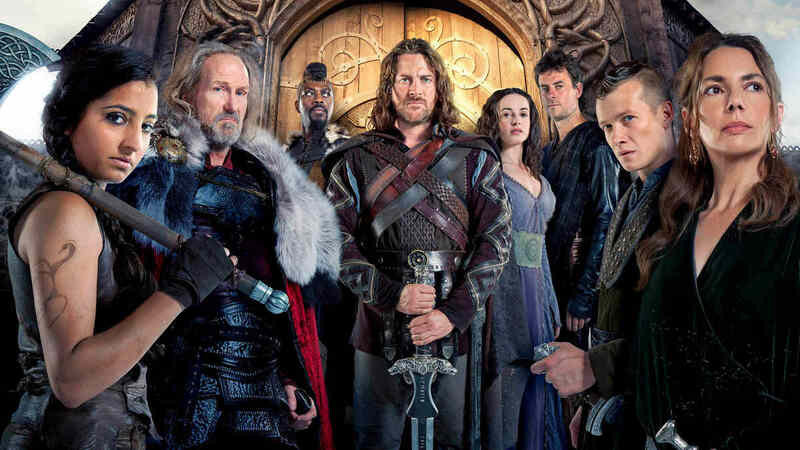 There's still no sighting of Grendal and at times, it's hard to believe that I am actually watching a show about Beowulf.